Pharmacy Technicians assist pharmacists in the dispensing of prescription medications and health care products in hospitals and community pharmacies. They perform other duties such as processing insurance claims, interacting with customers, monitoring and ordering medications, receiving supplies, maintaining patient profiles, packaging and labeling medications, and managing the day-to-day administrative functions. The profession is regulated by the Bureau of Health Professions Licensure. Practicing pharmacy technicians must be registered with the State Board. Registration requires completion of National Certification (PTCB or ExCPT) and passage of a pharmacy technician assessment exam that is approved by the Board. Candidates may take the assessment after completing a Board-approved pharmacy technician program or completing at least 500 hours of employment as a pharmacy technician trainee. Apart from the technical skills acquired in a formal training program, technicians must have excellent communication skills, be proficient with technology and mathematics, and physically capable of standing for long shifts. 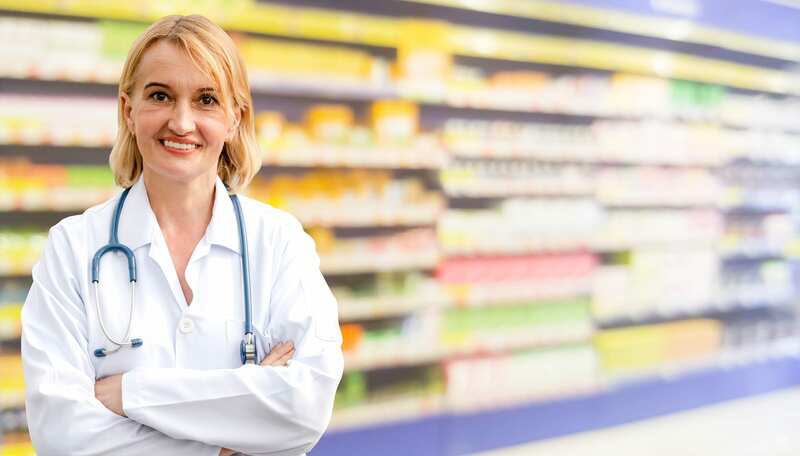 The duties of a pharmacy technician also require attentiveness to detail, accuracy, and awareness of safety in practice to reduce instances of medication errors. Pharmacy technicians work under the direction of a registered pharmacist. While they may receive and prepare prescriptions for dispensing, a pharmacist must check packages before they can be dispensed to the patient. The pharmacy technician program at Lawrence Memorial Regis College is approved by the Massachusetts Board of Pharmacy. The program prepares adults for employment in a hospital pharmacy where they will receive and prepare prescriptions for dispensing under the supervision of a licensed pharmacist. 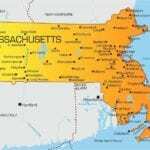 The curriculum includes instruction in the classroom and hands-on practical experiences that will prepare students for success on a Massachusetts Board of Pharmacy approved exam for registration in the state. State laws require candidates to work 500 hours as a Pharmacy Technician Trainee – or complete an approved pharmacy technician program with practicum – and pass the registration exam to practice as a Pharmacy Technician. Graduates will have the foundational knowledge to take the National Pharmacy Technician Certification exam. While some graduates may be eligible for employment in the Hallmark Health System Pharmacy Department, there are no guarantees. QCC’s pharmacy technician program is offered through Workforce Development Center in Worcester. The program requires travel to one or more clinical sites, and students will have the option of completing at least 50 percent of the content online. Students enrolled in the program will acquire knowledge, skills, and competencies to assume an entry-level position in community, hospital, and long-term care pharmacies as a pharmacy technician. Lectures will cover pharmacy technician duties, communication skills, and assisting the pharmacist. In addition to lectures, students will participate in a pharmacy externship comprising of 135 of practice in a local pharmacy. Course topics include Introduction to Medical Terminology, Pharmacy Technician, Principles of Human Biology or General Biology Core Concepts, Healthcare First Year Experience, Pharmacy Technician Clinical Co-Operative Externship, Introduction to Microcomputer Applications, and Introduction to Psychology. The program’s 25 credits must be completed in two semesters. Graduates will have knowledge of the laws of pharmacy practice, take and follow directives from the pharmacist, communicate effectively, competently perform the duties of a pharmacy technician, and know drug names, classifications, dosage forms, and pharmacy calculations. Tuition for the Pharmacy Technician Certificate is $415 per semester. The Community College of Baltimore County’s Pharmacy Technician program prepares students for an entry-level position in a pharmacy setting where they will dispense prescriptions under the supervision of a pharmacist. Graduates will receive a Continuing Education Workforce Training Certificate and be prepared to take the PTCB exam to become a Certified Pharmacy Technician. They may opt to participate in an unpaid Pharmacy Technician Externship to gain hands-on experience in a real-world setting. Classes meet on Thursday evenings at the Essex location and during the daytime on Fridays at CCBC Randallstown. There is an additional course offering for graduates to enhance their skillset and employment opportunities. The advanced Compounding Sterile Preparations covers 30 hours of instruction for an additional $935. Tuition and fees cost $2059. The cost of textbooks, supplies, and PTCB is not included. Financial aid may be available through Continuing Education Opportunity Grant, Workforce Development, Tuition Waiver, and Baltimore County College Promise. The Pharmacy Technician Program at Health Care Training Services equips students with knowledge and competencies to perform the duties of a pharmacy technician in retail and institutional pharmacies. The program will include 42 hours of theory lead by an experienced instructor. Students will learn how to communicate effectively, receive and fill prescriptions, monitor and order inventory, measure, mix, count and pour medications, package and label medications, update patient profiles, and practice within the laws for pharmacy technicians. Graduates will be prepared for success on the nation PTCB or ExCPT exam to become a Certified Pharmacy Technician. The program does not include a pharmacy externship so it is recommended that students make arrangements to gain experience in the field before taking the exam. JVS Boston offers free training for adults to become a Certified Pharmacy Technician. The curriculum will include theory in the classroom followed by a valuable externship opportunity with affiliates. Externship partners include Walgreens, CVS, Boston Children’s Hospital, Tufts Medical Center, and South Shore Hospital. Graduates will receive job placement assistance to secure employment in a retail or institutional pharmacy in Boston. The program is designed to be completed in 12 weeks and includes instruction in pharmacy mathematics, professional communication, pharmacy law, pharmacokinetics, professional development, and pharmacy basics. Persons interested in enrolling in the free program must attend an information session. Sessions are scheduled on Tuesdays at 10:00 am at JVS’ main office. Tuition is free for all students. JVS has a 100 percent job placement rate. Middlesex Community College’s pharmacy technician program is designed to prepare students with the skills to practice as a pharmacy technician in a retail setting. After completing 60 hours of lectures led by an experienced instructor, students will participate in an 80-hour externship in a real-world pharmacy. The instruction will include preparation for the National Certification Exam. Those who pass the exam will be eligible to use the Certified Pharmacy Technician credential. Course topics will include pharmacy law, pharmacy operations, pharmaceutical calculations, medical abbreviations, interpreting drug orders, medical abbreviations, routes of administration, pharmacy regulations, and the top two hundred prescription medications. Through a partnership with CVS Pharmacies, the school is able to offer students valuable hands-on practice in a retail pharmacy setting. The externship will reinforce the content learned in the classroom and give students opportunities to work with the pharmacy team guided by experienced instructors. Tuition for the program is #1,299. The pharmacy technician program at North Shore Community College includes lectures, hands-on practice, and a clinical externship. Course topics will include medical terminology, inventory control, dispensing of prescriptions, defining drugs by generic and brand names, dosage calculations, reading and interpreting prescriptions, IV flow rates, billing and reimbursement, dose conversions, drug compounding, and communication. The clinical externship is optional and includes 40 hours of practice in a local pharmacy. Day and evening schedules are available. Payment plans are available. Financing may be available for eligible students.